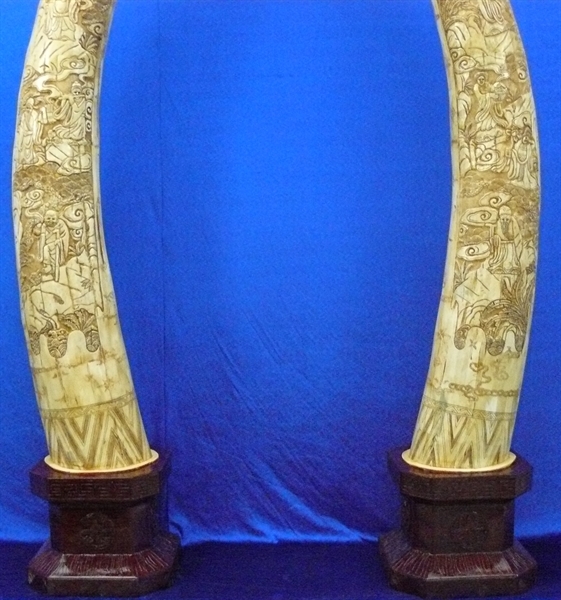 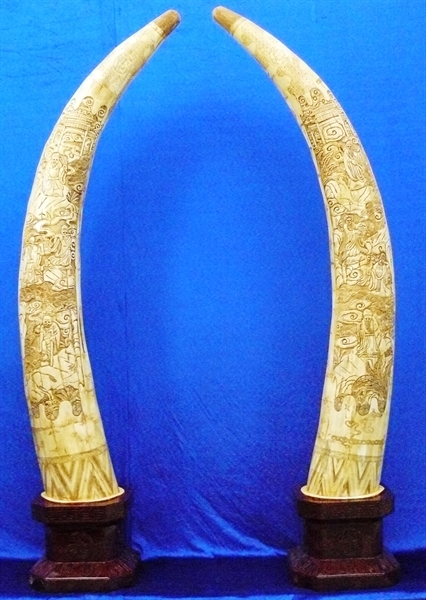 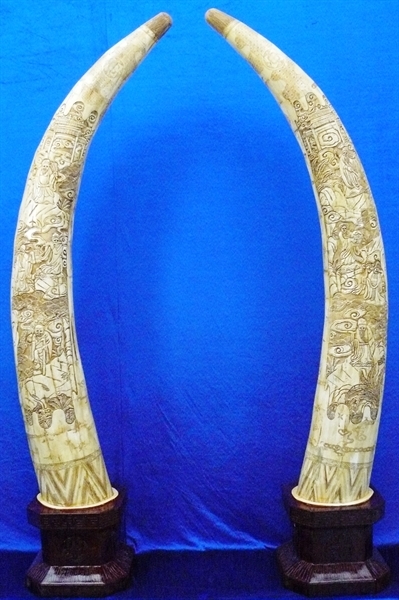 Individual Size: Wide 20", Deep 8", High 70"
This beautiful pair of tusks are all hand carved from natural water buffalo bones. 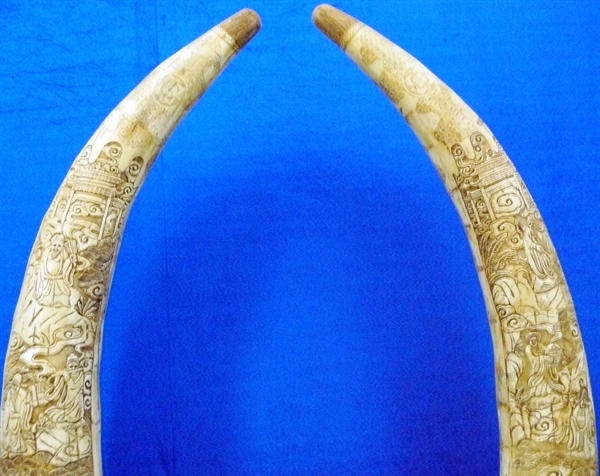 The traditional Eight Fairies are carved on each tusk. 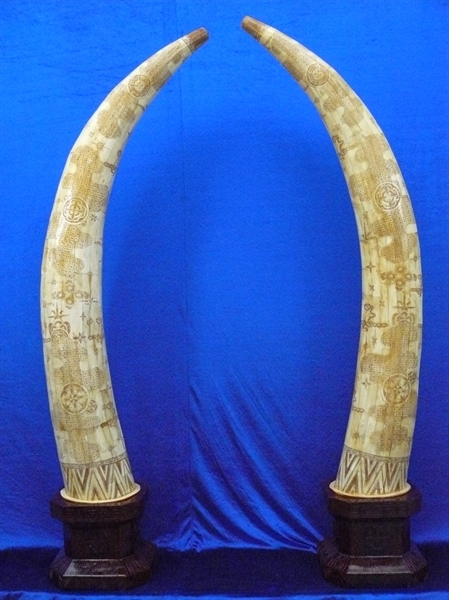 It comes with an elegant base.